Ariyalur district is endowed with a large number of historically important places and temples. capital of the Paluvettaraiyar Chiefs who were from Kerala and ruled Ariyalur area as feudatories of the Chola Kings from Aditya I to Rajendra Chola I. Paluvettaraiyar Kumaran Kandan , Kumaran Maravan, Kandan Amudan and Maravan Kandan were some of the important Kings of this family. The Sundaresvarar temple in this place dates back to the period of Aditya Chola – I. Its name was Pagaividai Isvaram. period of the Cholas. It was a mercantile town of itinerant trade guilds. 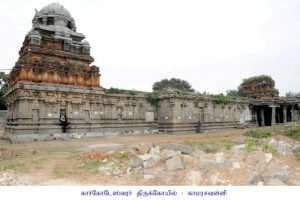 The Siva temple at Kilaiyur was called Avani gandarva Isvaram and built in A.D. 884 during the 13th year o f Aditya –I by Paluvettaraiyar chief Kumaran Kandan. 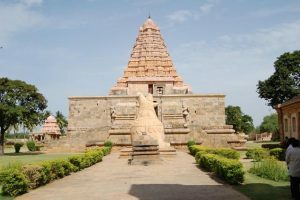 This temple is one of the finest stone temples and one of the best preserved early Chola temples offering different architectural styles with an array of beautiful and charming sculptures. Chola Kings had marital alliances with the Paluvettaraiyar family. Parantaka Chola married Arumolinangai who was the daughter of the Paluvettaraiyar Chief Kumaran Maravan and the Chola King Arinjaya Chola was born to this princess. Uttamachola (970-986) also married a princess of this family. Panchavanmadevi, wife of Rajaraja –I was also a native of Avani Kandarvapuram and she was a dancing girl of the temple. The Chola Kings seem to have had their minting factory at this Capital. This place formed a part of the capital of the Paluvettaraiyar. It was called as Sirupaluvur, a Brahmadeya village in Kunra Kurram. Poems to the Alanduraiyar temple here were sung by Thirugnanasambandar during the 7th Century A.D. It is said that the Sage Parasurama did penance in this place and got rid of his sins of having killed his Mother. This temple was worshipped by the Malayali Brahmins during the period of Saint Sambandar. It was built of stone during the period Parantaka Chola – I and Uttama Chola . Clan of the Sangam Age and hence called Malavar-padi and later as Thirumalapadi. The Siva temple of this place called Vaidyanatha Swami was worshipped and sung by the Devaram Nayanmars viz., Appar, Sambandar and Sundarar. It was also visited by Ayyadigal Kadavarkon who praised it in his hymns of Shetravenba. This saint has been identified with the Pallava king Simhavarman(540-558), the grandfather of Mahendra Varman pallava (598-630). It is believed that the Deity of this place appeared in the dream of Saint Sundarar and asked him to visit this place and praise Him and hence the saint came to this temple and sung peons in his famous Devaram hymns ‘Ponnar meniyane’. The Siva temple was built of stone during the period of Aditya–I (871-907). Rajaraja–I ordered for its rebuilding and was completed by his son Rajendra–I. Again it was repaired by the Hoysala king Viranarasimha in A.D. 1235-36. 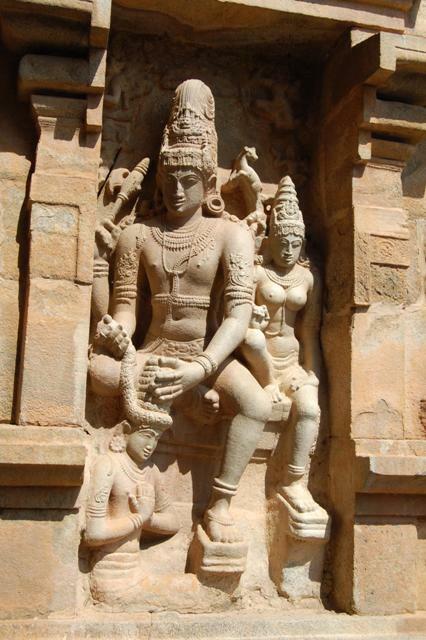 The Queens of Aditya–I, Rajaraja–I, and Rajendra–I made gifts to the temple in the form of lands and ornaments. The first and second gopuras of this temple were built during the periods of the Pandyas and Cholas respectively. The famous festival celebrated in this Temple is the marriage for Nandi (nandi kalyanam). 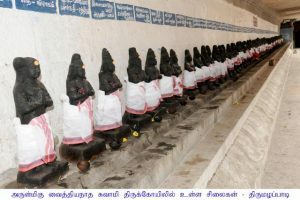 It is a popular belief in this area that impediments in getting married will be overcome if they see the marriage festival of Nandi Devar. The Soundaresvarar temple with goddess Valambal in this village was built during the period of Sundra Chola in A.D. 962. Local traditions say that it was the place where Rathi did penance and got back her husband Manmatha and hence the village name Kama-rathi-valli. A village called Alagiyamanavalam is located east of this village. It is held that it was named after the beautiful husband of Rathi i.e., Alagiyamanavalan (beautiful husband-manmathan.) A beautiful bronze image of Rathi is also preserved in this temple. Another story preserved in this temple is that Karkotaka, the serpent King, got relieved of his curse by worshipping Lord Siva in this village and hence the God of the temple is called as Karkodaka Isvaram. A slab with figures depicting this lore is also preserved in this temple. There are more than 40 inscriptions of Chola, Pandya and Hoysala periods in this temple. Inscriptions mention this temple name as Tirunallur Srikovil Mahadevar, Tirunallurparamesvarar and Tirukkarkotaga Isvarattu Mahadevar. Inscriptions refer to this village as Kamadavallichaturvedi Mangalam a brahmadeya in Mirai kurram. There are beautiful sculptures and bronzes of Chola period in this temple. 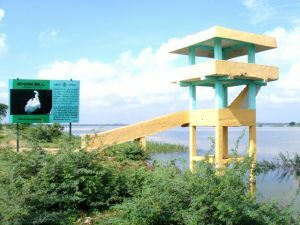 Govindaputtur, a village in Udaiyarpalayam taluk, is located on the northern bank of the Kollidam River. The Siva temple in this village is called Ganga Jadadisvarar and Saint Appar and Sambandar who lived during the period of Mahendravarma Pallava praised the Deity of the temple in their Devaram hymns. From their songs we come to know that Parthan (Vijayan, son of King Pandu of Mahabharatha) worshipped Siva in this place and got a boon from the God. The celestial cow (kamadenu) also worshipped the God at this place by pouring its milk over the Sivalinga and hence place was called ko– karanda – puttur, and later became Govindaputtur. Inscriptions of Chola, Pandya and Vijanagar kings are engraved on the walls of the temple. The present temple was built of stone in A.D.980 during the period of Uttamachola (970-986) by his officer Ambalavan Paluvur Nakkan, who was a native of Kuvalalapuram(modern Kolar in Karnataka). The temple is preserved with beautiful sculptures and bronzes of early Chola period. Inscriptions refer this place as Vijayamangalam, a Brahmadeya village in Sri Parantakachaturvedimangalam. A Devaram hymn of saint Sambandar is engraved at the beginning of a record of Rajendra – III in this temple. During the reign of Rajendra – I, this village came into existence and was called as Vikkiramacholapuram, after a surname of the king. Inscriptions of Vikramachola, Kulothunga–II and Kulothunga-III indicate that this place was a sub capital for the Chola kings who resided in the royal palace in this place and issued royal orders granting lands to many temples in the Chola country. During the Chola period Vikramacholapuram was also a famous trade and mercantile centre of the itinerant trade guilds. 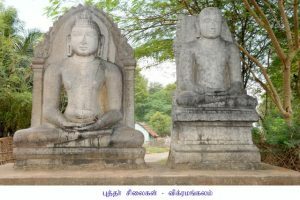 Beautiful Jain and Buddha sculptures of Chola period is also preserved in this village. The existing Siva temple of this village is called Rajendra Cholisvaram and dates back to the period of Rajendra Chola – I (1012-1044). 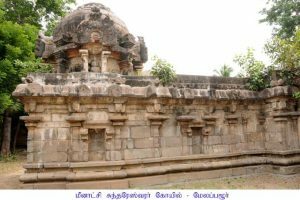 Epigraphically evidences show that the Siva temples at Sendurai, Sennivanam and Sripurandan belong to the periods of Rajaraja-I (985-1014), Rajendra–I (1012-1044) and Kulothunga–III (1178-1218) respectively. 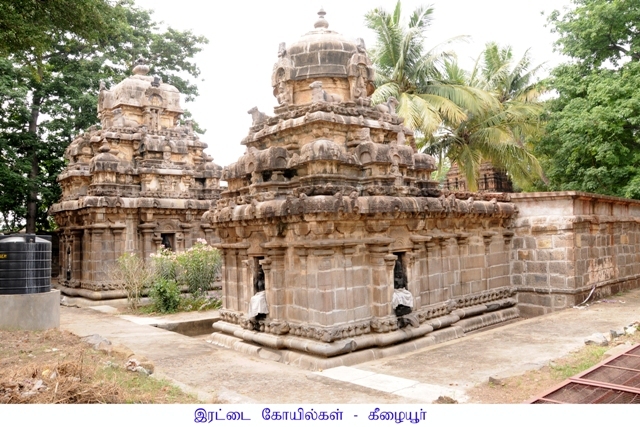 temple constructed during the reign of Rajendra–I in Ariyalur region. Following the conquest of the Gangetic plains in A.D. 1023 Rajendra–I built a great city called Gangaikondacholapauram and a Siva temple Gangaikondacholisvarar and a lake Chola Gangam in commemoration of his victory. The place, the temple and the lake (Chola Gangam) are the living embodiments of the heroism of the Tamils who unfurled the Chola‘s Tiger flag on the banks of the River Ganges. He also shifted his capital from Thanjavur to this newly built town. From his period to the end of the Chola family rule in A.D.1279 this city was the capital for the Chola Empire for a period of 256 years. The gigantic stone temple which he built in this place is rich repository of beautiful sculptures of middle Chola period. This city is celebrated in the literature of Muvar ula of Ottakuttar and Kalingattuparani of Jayankondar. Rajendra’s Gangetic expedition was over by his 11th regal year (A.D.1023). The earliest reference which mentions the city of Gangaikondacholapuram is a record of A. D. 1027 of him. Hence it is evident that the city was built in memory of his great victory between A.D. 1023 and 1027. The recently discovered Esalam Copper plates of A.D. 1036 of Rajendra–I give concrete evidence that he built the Gangaikondacholisvarar temple. Another record of A.D. 1068 of Virarajendra in Gangaikondacholapuram which is the earliest record in the temple mentions about the grant of villages to the Gangaikondacholisvarar temple by Rajendra-I in his 24th year (A.D. 1036). These evidences indicate that the siva temple was built between A.D. 1023 and 1036 although the earliest extant record in this big temple belongs to A. D. 1068 of Virarajendra. This temple is a living history of the Cholas in stone from the period of Rajendra-I and a beautiful gallery of Chola art and architecture. Many sculptures brought from Andhra, Karnataka and Bengal as war trophies are also preserved in the temple and in the nearby villages. Chandesura Anugraha Murthy and Sarasvathy are the most beautiful sculptures of the temple. At present it is under the control of ASI and the HR&CE and recently the UNESCO declared the temple as one of the world heritage monument. 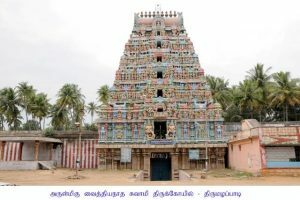 A Vishnu temple called Kondandaramaswamy kovil exists in Ariyalur. Though the presiding deity in this temple is Srinivasaperumal it is popularly called as Kodandaramaswamy kovil because of the existence of a shrine in which Rama, Lakshmana and Sita are enshrined. The temple faces the east. The main shrine is dedicated to Srinivasa Perumal and His two consorts Sridevi and Bhudevi. It has a garbagruha (15 feet square) and ardhamandapa (17 feet long) and Mahamandapa. The Karaivetti Birds Sanctuary with an area of 453.71 ha. has been notified under section 18(1) of Wildlife Protection Act 1972 as per Government Order No.219 E&F (FR.VI) Dept dt. 10.06.1997. The sanctuary is basically an irrigation tank that receives water from the Mettur dam from September onwards which is supplemented by the northeast monsoons from October till January. in the state of Tamil Nadu. One of the largest tanks in the state, it has recorded the largest congregation of water birds among all the tanks in the state. Of the 188 species of birds recorded in the sanctuary, 82 are water birds. Among the important visitors to the tank is the endangered Bar Headed Goose. The best time to visit the sanctuary for bird watching is September-March. Roman Catholics. 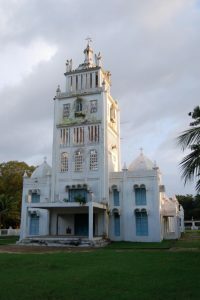 Constantine Beschi (popularly known as Virama Munivar) from Italy came to Ariyalur region and spread Chirstianity between A.D. 1710 to 1742.The Adaikala Matha temple here was built by him. With the blessings of the Holy Mother Mary he cured a dangerous disease of the Ariyalur Palayakarar. Pleased by the service of Virama Munivar the Chief granted 60 acres of land to the temple. An inscription engraved on a stone slab written in A.D. 1763 is preserved in this Church makes a mention of this grant.